On a birding run today in Milwaukee County I stumbled across a Red Fox hunting. The Red Fox tried to make a catch here but it’s snack got away. It remained in the hunting mode but then moved out of sight. Always makes for a fun day seeing one of these mammals out doing it’s thing! Got a glimpse of a Red Fox doing a brief hunting before it left the area. Always a treat to see one of these. Images were taken on January 30, 2017. Thinking about something here in the grass…. Habitat: Forests, grasslands, mountains, savanna, agricultural lands and deserts. Red Foxes can also adapt to farms, suburban areas and sometimes cities. Diet: Fruit, vegetables, fish, frogs, rabbits, birds and rodents in the wild. If living in a human environment they may include in the diet garbage and pet food. Range: Northern hemisphere from the arctic circle to Central American. They can also be found in Northern Africa and central Asia. During the last month or so in our yard in Waukesha County, the Red Fox kits have come and gone. The family of at least 4 kits, 2 adults have been seen very little. We have only gotten glimpses of them a few times, but those times have been so exciting. I have put together a few images to share of their last appearance that was a few days ago. Will they return, who knows. Re-post, this is a older post from this year in May 2016. It was revamped and some new images have been added, a link goes out to alert anyone who has signed up for alert. Sorry if this has inconvenienced you. Out birding today at a park in Milwaukee County I came across a stunning Red Fox. It gave nice views in the relax mode before it left the area. A very slow day birding with just common birds being seen. Images were taken on March 4, 2016. 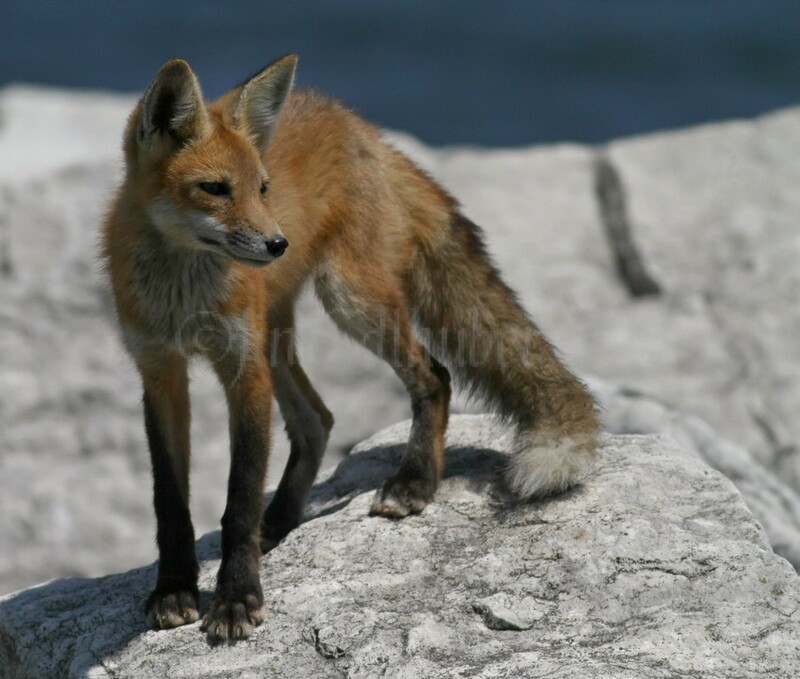 While birding the lakefront in Milwaukee this morning I came across a Red Fox. This is a kit from this spring and growing fast, getting closer to looking like an adult. It did some hunting in tall grass areas while I was present and it appeared it found some food. Cool to see a Red Fox out midday as I think they are seen less during the day, more very early morning and late evening, just my opinion. I had an opportunity to photograph 3 Red Fox kits in Milwaukee County, that are growing up fast. They were not out of the den long but enough to capture a few cute moments. Bruce joined me for a couple shots of the kits, it was a fun shoot while it lasted. Images were taken on July 9, 2015. While birding on the Milwaukee Wisconsin Lakefront today I came across a Red Fox. Out taking a nap in the sun on a cold October day. Images were taken on October 5, 2014. While birding on the lakefront in Milwaukee Wisconsin I came across a couple of Red Foxes. They were out for a few minutes and gave some nice views. In a short time they had disappeared. Photographs were taken on July 17, 2014. Red Foxes used a den here in the yard this spring for the last month or so. With that being said, you would think that the red fox images would have been endless. That was not the case as we viewed them plenty, but it was always as the sun was setting and very low light. The two adults and 4 kits gave us some of natures finest moments to enjoy. As of now the red foxes and kits have moved on to a different location and have not been viewed for a few days. Images here were taken at a distance, in a low light situation.